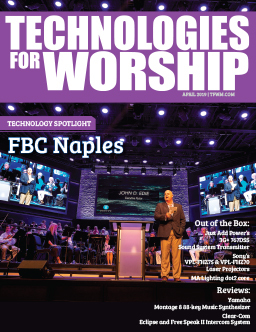 Harvest New Beginnings is a 50 year old church that has moved forward with technology as its Sunday attendance has grown from 100 to 1200, transitioning through four different worship spaces with constant changes to service schedules. One year ago, we moved into a new 1200-seat multipurpose facility with expanded stage and production space along with the addition of much new equipment. It’s been a year of great change for the worship ministry teams as we’ve added IMAG and environmental projection to our regular services. 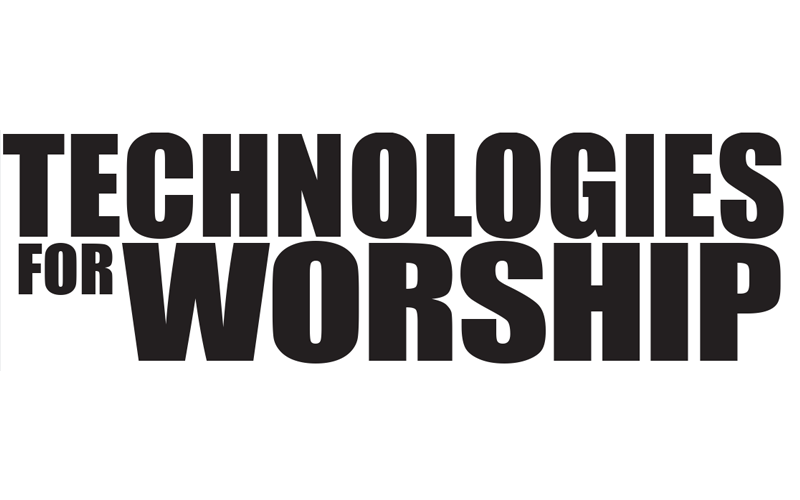 We’re not the poster child church for being at the forefront of technology – we’re more like the church that models just keeping its head above water. 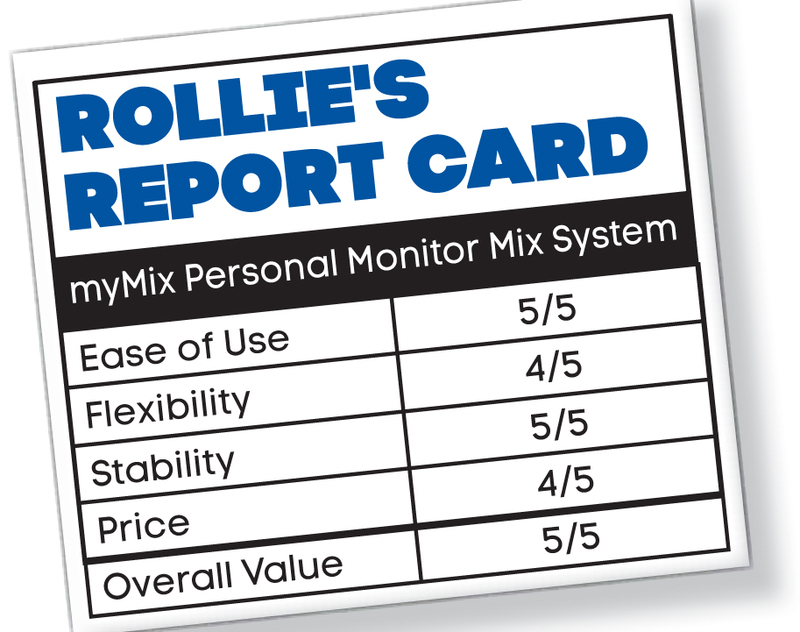 In March of this year, we began using the myMix Personal Monitor Mix System during worship. Since we have never owned a personal mixing system our supplier set up an onsite demo so that we could run a rehearsal with the system fully functioning. myMix representatives were very helpful in explaining and helping us implement the technology. It was obvious that, while it might take some time to adjust to the change from wedges to personal monitors, the system would be easy to manage for the stage personnel. 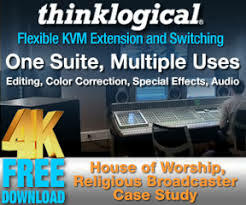 Our desire was to gain more control over the sound in the room and give our instrumentalists the ﬂexibility to create their own mixes without the constant and often frustrating give-and-take with the sound board operators. With one rehearsal, we were able to make that happen. The technical work of selecting and setting up channels and levels was accomplished pretty quickly, and once the basics were in place it took about 10 minutes to get the individual players fully functioning with their unit. Once a channel is selected, the volume can be controlled with one tap, can be soloed with a click, and the parameters of that channel can be adjusted with two clicks. As with most new technology, you need to get used to being on the right page to make the adjustments, but once you get acclimated to the easy navigation, that’s not a problem. We started with ﬁve personal mixers and have since added one more. Our instrumentalists and worship leader use the personal mixers, but individual singers and choir use ﬂoor wedges. We installed a 16-channel digital to analog expander that connects us to the Allen & Heath AH-MMO-A output card in our Allen and Heath iLive Mixer. We set up the Worship leader to use a wireless connection by installing a Shure PSM900 wireless personal monitor system, P9RA Wireless body pack receiver, and P9T Wireless Transmitter routed through a myMix RX-2 Networked Rack mixer. Each unit is small, easy to read, and operates off POE through the ProCo Pro-CAT cables. The available mounting arms easily connect to regular microphone stands The unit is very user friendly. We have found that nontechnical people are quick to pick up on the system while the more advanced appreciate the quick set up, ease of use, and ﬂexibility. We change personnel each week. The players are able to make quick adjustments and I’ve heard no complaint. In addition, each individual can save their personal proﬁle and recall their own setting within that mixer each time they are playing. 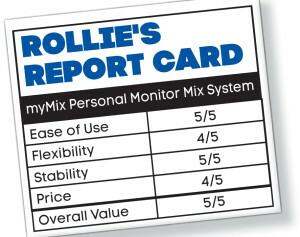 When we added a sixth personal mixer, it was as simple as plug it in and set the levels. No additional work was necessary. The system has also been very stable and dependable. We’ve experienced no failures at all in any of the pieces over the seven months that we’ve been using the system. We provided a good set of headphones for the drummer and some Westone In-Ear monitors, but have found that most players would rather just bring in their own ear buds with our sets being used as backups. We also hung two condenser microphones from the clouds above our stage to provide an ambient signal to put into the mix options, which provides a more realistic sound and a pickup of sources not available as part of the mix. A feature that we haven’t taken advantage of yet are the optional SD/SDHC cards that allow you to record a session, remix it and do a play along. The cost is comparable to other similar systems, perhaps just a few dollars higher. However, higher sound quality, small size and ease of use make it a better value. It’s been a great and easy addition to our weekly worship ministries.